For most homes, heating and cooling costs account for almost 50 percent of their energy expenses. This is one of the main reasons why the use of smart AC heater thermostats has gained immense popularity as a cost-cutting measure. This device offers better control features and automated services in terms of indoor climate and temperature. Besides increasing comfort levels in your home, an AC thermostat can also help you save money on your home’s heating and cooling costs. 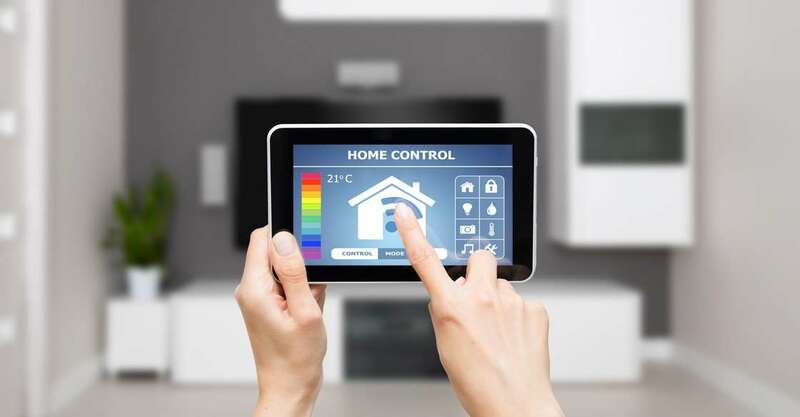 Let’s take a look at a few other reasons why these thermostats are taking over the market and exploding in popularity. Programmable thermostats also feature digital displays that make it very easy for users to pre-set different temperatures for different weekday programs. Most systems also allow you to manually override the settings without losing your pre-set programming. Although most family schedules run like clockwork, spontaneous weekend plans, impromptu date nights and baseball games mean you might be away from home more often than you had planned. However, with a programmable thermostat, you can easily connect your devices (smartphones, laptops, and tablets) via Wi-Fi in order to log-in and update your thermostat’s settings from the baseball diamond, school or work. Therefore, your AC heater thermostat will only run when you actually need it. Programmable thermostats also have seasonal programming options which also allow you to set your system to reduce energy consumption by decreasing air conditioner usage in winter. The thermostats seasonal changes can also be programmed ahead of time in order for the system to adjust for the weather accordingly. Many AC heater thermostats automatically switch your system from heating to cooling when the time is right. Besides making spring and fall more comfortable, this easy automatic switch helps you save energy and energy costs too. In addition, the control options will allow you to fully capitalize on the benefits of air conditioning services. A programmable AC thermostat sends maintenance reminders to your smartphone in case it needs some manual intervention. It can alert you when it’s time to change the air filters and plan a wide range of preventative measures that help you save energy especially when you need it most. An AC heater thermostat helps you save energy due to its ability to accept different temperature settings at different times of the day to match your activities. With a smart thermostat, you can program up to 6 timed temperature settings instead of changing the settings manually before leaving the house or setting just a single temperature for the whole day. You can also maximize energy savings while you sleep by programming different temperatures during the night. You can program your smart AC thermostat to reach your preferred temperature before you start your day or by the time you return home. Therefore, you never have to sacrifice your comfort in order to save money. You can experience a breath of refreshing cool air on a hot summer day or wake up to a cozy and warm home on a cold winter morning all while lowering your energy bills. Programmed thermostats protect the environment in many different ways. In addition to reducing energy usage, these smart devices do not use toxic substances such as mercury which is commonly used in older thermostats. Programming your AC thermostat to vary temperatures or to turn off and on allows your system to use significantly less energy and hence reduce greenhouse emissions commonly associated with energy production. Installing an AC heater thermostat helps you lower your heating and cooling bills and set more money aside for other things such as your children’s education, family vacation or retirement. In this manner, it’s a great way to further control and optimize your home heating budget. When it comes to heating your home in the most efficient way possible, it’s clear that these programmable thermostats are the wave of the future. Pretty soon anybody will be able to adjust the room temperature with the touch of a button on their smartphone. ← HVAC Ultimate Guide – Why is your Home AC not Blowing Cold Air?